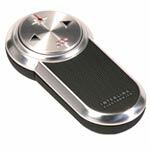 Looking for Projector Remotes? Click here. 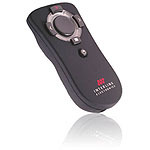 With the Air Mouse Elite, your natural hand movements drive more powerful presentation delivery, more interactive classroom lectures and more convenient access to your digital entertainment. 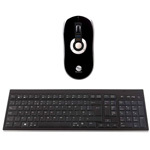 The elegant and ergonomic Air Mouse Elite and low profile keyboard bring the intuitive simplicity of motion to your digital life. 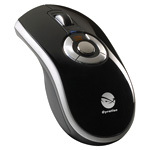 With the Gyration Air Mouse GO Plus featuring MotionSense™, the world just got easier to navigate. 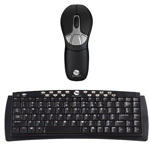 Go Plus Air Mouse with compact size keyboard - the world just got easier to navigate! 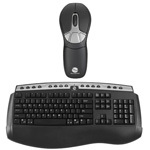 Go Plus Air Mouse with full size keyboard - the world just got easier to navigate! 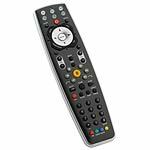 Blu-Link is the first universal remote control with built-in support for both PlayStation 3 Bluetooth and infrared for home audio visual equipment. 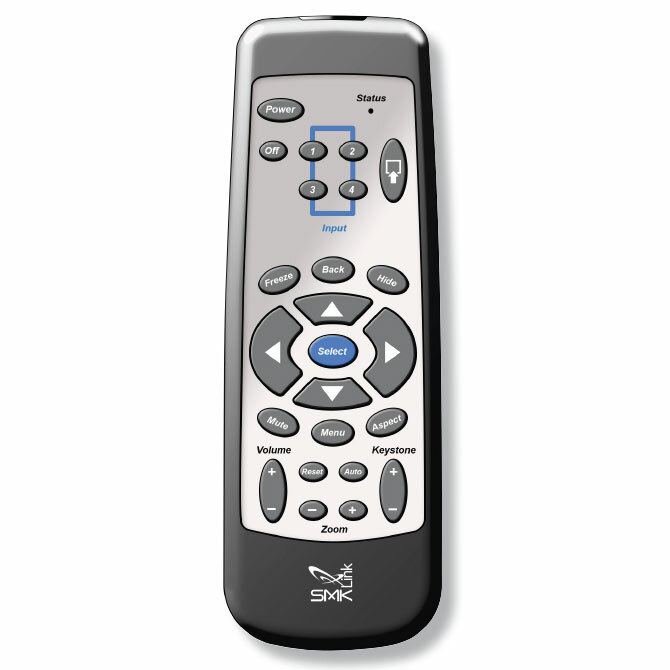 Blu-Link can learn infrared commands from other remote controls. 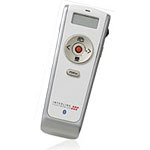 The Interlink VP4570 Bluetooth stopwatch presenter includes an integrated stopwatch with LCD display enables the presenter to effectively manage time. 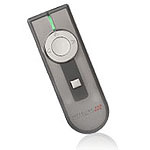 Presentation Pilot Pro is a value-priced wireless remote control for PowerPoint and Keynote presentations. 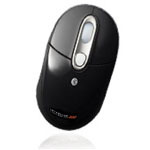 It features dedicated slide advance, slide back and slide blank control keys, a separate key to activate the onboard laser pointer. 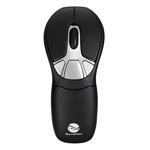 The black Interlink Rechargeable Bluetooth Notebook Mouse from SMK-Link is a fast-tracking, high-resolution, optical mouse with Bluetooth connectivity designed for Bluetooth-enabled Windows and Macintosh systems. 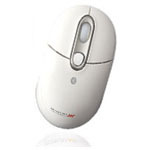 The white Interlink Rechargeable Bluetooth Notebook Mouse from SMK-Link is a fast-tracking, high-resolution, optical mouse with Bluetooth connectivity designed for Bluetooth-enabled Windows and Macintosh systems. The RemotePoint Emerald Navigator offers a bright green laser pointer and presentation controls at ranges up to 100 feet with customizable buttons able to send a variety of key combinations. 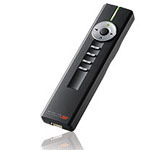 RemotePoint Jade is a fully programmable presentation remote control that offers a bright green laser with 150' of wireless range for Mac and PC.